Alexandria | Dog Bite Lawyer - No Fees Unless We Win! Get Help. Seek medical attention. You do not know whether or not the animal has been vaccinated against rabies. Even if they have, you are still at risk for infection. It is also important that your injuries are documented by a medical professional. Report the incident by calling the police or the Animal Welfare League of Alexandria at 703-746-4774. It is important that the incident is reported to the proper authorities. The dog will need to be quarantined and observed for rabies. Take photos of your injuries as soon as you can and continue to document the healing process. This will be very important evidence in your case. Contact an experienced Virginia dog bite lawyer who will fight to get you the best possible settlement. Pain and suffering. Physical pain can fade, but the emotional turmoil of a dog attack can linger for years. This is especially true with children that are bitten. Loss of earnings while unable to work. Even minor injuries can put a victim out of work for days, weeks or even months. Those absences will inevitably take a toll on a person’s income stream. We can help fight for the wages you lose out on because of your injury. Disfigurement. If the injury causes scarring or other unsightly marks, it could mean years of plastic surgery or therapy to treat the emotional issues that come with the disfigurement. This is especially true when a child is attacked. Children: Unfortunately, some childhood injuries can stay with a person physically for the rest of their life. This can impact their self-esteem and may require expensive plastic surgery. This can be factored into a settlement. Medical bills. When you’re injured through no fault of your own, you shouldn’t be expected to pay for the medical costs accrued during treatment. Death of a loved one. No one ever expects to lose a loved one in such a violent way. The Virginia wrongful death statute allows certain family members of the victim to file a claim on the behalf of the deceased. Running at Large – Dogs should always be kept on a leash while in public. This is for the safety of both the dog and the people around you. In Alexandria, dogs that are found running at large, or off their leash, may be impounded and kept at the animal shelter. With this in mind, always keep your dog restrained, even in places like the park or the playground. Electronic collars are not a form of physical restraint. Dangerous Dogs – In Alexandria, dangerous dogs are defined as dogs with a violent histories. Any canine who has bitten, injured or otherwise inflicted injury on another animal, their owner or anyone else can be deemed dangerous. In some cases, if a local court finds a dog to be dangerous, the animal will be euthanized. Vicious Dogs – The term “vicious” describes dogs who have bitten or attacked on multiple occasions. It also applies to any dogs that have killed a person in such an attack. Vicious dogs are sometimes ordered to be euthanized after especially violent attacks. 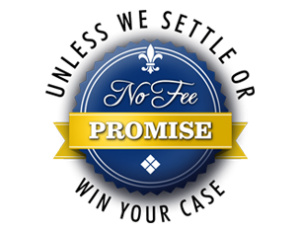 Our Virginia dog bite attorneys operate under a no free promise: this means that you are not responsible for any legal fees unless we win or settle your case. We understand that the fees associated with a lawsuit can be a barrier to justice. Corporations and insurance companies have tremendous resources, and our No Fee Promise levels the playing field.